Mitch Berger was born in Kamloops in 1972 and raised in North Delta. Everybody knew Mitch’s house on 116th Street. At the side of his house were two tall goal posts positioned perfectly for an up and coming pro kicker! Mitch was an outstanding athlete in many North Delta sports, including baseball, basketball, soccer, volleyball and, of course, football. As a growing athlete, Mitch won the Punt/Pass/Kick award in four divisions. As a senior at North Delta High School, he was on the AAA Basketball team, MVP of the Fraser Valley Tournament as well as a Provincial All-Star. On the gridiron, he led the Dawgs to a Provincial AA third place finish while playing quarter- back, defensive back and kicker/punter. He was also selected a Provincial All Star as a kicker/punter. After high school, Mitch received a football scholarship to Tyler Junior College in Texas where, in his freshman year, he was Honourable Mention National Junior College All-American. After his outstanding first year, Mitch received a full ride scholarship to the University of Colorado. Here he earned his degree in Business/Real Estate. During his time at Colorado, Mitch compiled a 42.7 yard punting average, made 19/32 field goals and forced touchbacks on 114/184 kickoffs – an amazing statistic. 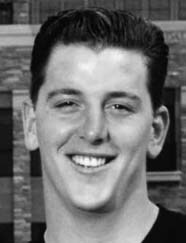 He was named on the Colorado Team of the Decade for the 1990s. His senior year, 8 sports magazines had him rated as a pre-season All American and, after the season, the Pro Football Kicking Service rated him as the top graduating punter in the nation. In 1994, Mitch was selected in the 6th round by the Philadelphia Eagles. He played for 14 years in the NFL with Philadelphia, Minnesota, New Orleans, Arizona, Denver, St. Louis and the Super Bowl Champion Pittsburg Steelers of 2008. He was selected in 1999 and 2004 to the Pro-Bowl. Mitch retired with a 42.9 yard kicking average over his 14 year career. His outstanding achievements in Division 1 College Football and his continued excellence and longevity at the professional level make North Delta’s Mitch Berger an excellent Athlete Inductee for the Delta Sports Hall of Fame.